U.S. Army Specialist Tyler Jeffries grew up in Zephyrhills, Florida. He joined the military due to his internal obligation to make a difference during his lifetime. With his father’s role in the Navy, he knew that his decision to join the United States Army would make his family proud. Tyler loved the camaraderie, brotherhood, and sense of purpose he felt each and every day of his service to our country. On October 6, 2012, Tyler and his platoon were sent on a mission in Southern Afghanistan. While on patrol, an improvised explosive device (IED) was detonated by the enemy, with the blast knocking him unconscious. 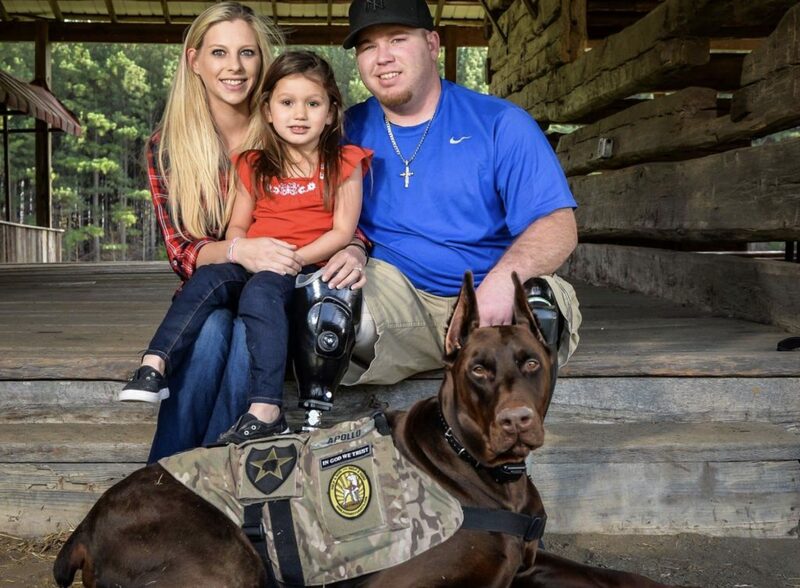 Tyler was immediately rushed to the Walter Reed National Army Center and it wasn’t until after his first surgery that he realized that he had lost both of his legs. 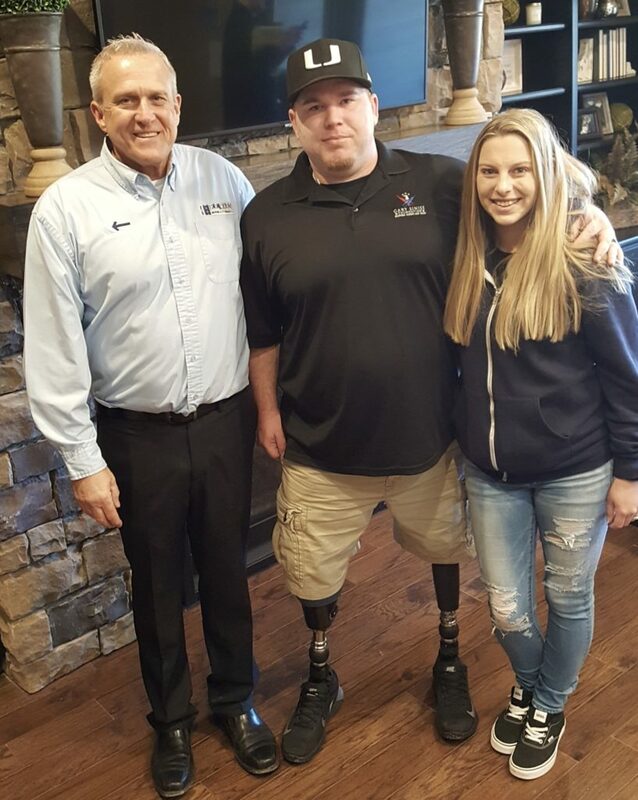 Determined to recover quickly for the sake of his family, Tyler took his first steps with his prosthetic legs just a mere 44 days after the initial blast. Annually, North American Van Lines (NAVL) moves over 12,000 military members and their families worldwide. As the official mover of the Gary Sinise Foundation R.I.S.E. Program, we are happy to have helped the Jeffries family move into their new home on January 11th. Team members of E.E. 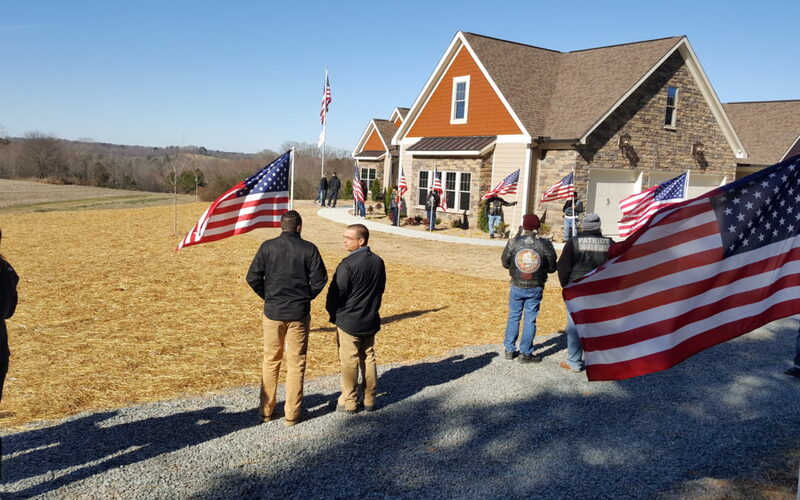 Ward Moving & Storage Charlotte, North Carolina office were proud to be a part of the Home Dedication and move in process for U.S. Army Specialist Tyler Jeffries, wife Lauren, daughter Ella, and service dog Apollo into their brand new, uniquely adapted smart home.